Recent seasons have included concerto engagements with the Midland-Odessa Symphony in Texas (Prokofiev Concerto No. 3) and University of Chicago Symphony (Gershwin Concerto in F). Featured recitals have included appearances at Pittsburg State University in Kansas, Brooklyn Public Library and Florence Chamber Music Series of South Carolina. Additional solo performances include engagements at The Cliburn’s Chopin Festival in Fort Worth, and at Florida’s Atlantic Music Center and the Artist Series of Tallahassee, plus numerous recitals throughout the greater New York area. 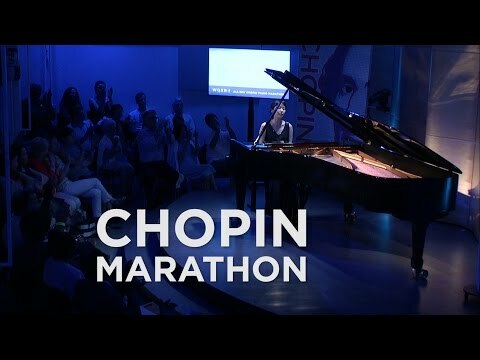 She has been featured on WQXR’s long-running Young Artists Showcase program, including a live interview and performance in studio, and she was also invited to participate in WQXR’s June 2016 Chopin Piano Marathon, with a live video-stream of her performances of Chopin’s Ballade No. 1 and Scherzo No. 1, followed by later audio broadcast. The Cincinnati Enquirer praised her Gold medal-winning concerto performance at the World Piano Competition: “…a fantasy world of shimmering sounds and colors. Her playing was at once flawless and dazzling…” Additional recent concerto highlights for Ko-Eun include US performances with the Boston Symphony, Roswell Symphony, New West Symphony and the Aspen Concert Orchestra, and internationally with the Barcelona Symphony, Jerusalem Symphony and the Seoul Philharmonic Orchestra. She has collaborated with such conductors as Lawrence Foster, Leon Fleisher, Christopher Wilkins, and Marcelo Lehninger, as well as Benjamin Zander, with whom she toured South America playing Saint-Saëns Concerto No. 2 with the New England Youth Philharmonic Orchestra. 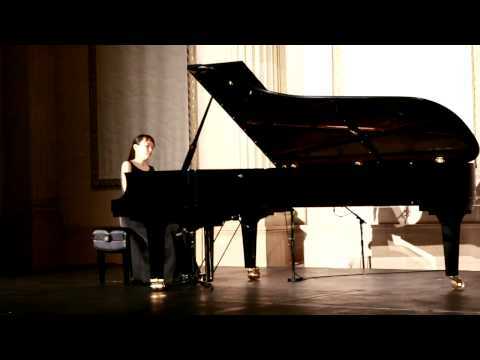 A compelling recitalist, Ko-Eun has given solo concerts around the US at Weill Recital Hall at Carnegie Hall and Lincoln Center’s Alice Tully Hall in NYC, the Phillips Collection in Washington, DC, the Dame Myra Hess Series in Chicago, the Bossier ‘Jam’n Bread’ Chamber Series in Shreveport, LA, the Trust Performing Arts Center in Harrisburg, PA and at Mount Holyoke College in Massachusetts, as well as internationally in Spain and Korea. At the Concert Artists Guild Competition, Ko-Eun was also awarded the Victor & Sono Elmaleh Piano Prize. Born in Seoul, Korea, Ko-Eun Yi began her piano studies at the age of three. She earned her Bachelor and Master of Music degrees at The Juilliard School studying with Jerome Lowenthal and completed her Professional Studies degree with André-Michel Schub at Manhattan School of Music. She has also earned a Doctor of Musical Arts degree at Stony Brook University with Christina Dahl. Water World is an exploration of how water has inspired many of the great composers. Works from this program include both Ravel and Debussy’s “Ondine,” based on the tale of the titular water nymph, as well as Chopin’s “Barcarolle” based on a folk song sung by Venetian Gondoliers. Water has been an inspiration for many great composers. For example, Debussy wrote several pieces with water-related titles. Both Debussy and Ravel wrote pieces entitled “Ondine” based on the tale of the titular water nymph. Barcarolle was a traditional folk song sung by Venetian gondoliers. Schumann composed his songs in 1840, the year of his engagement and marriage to Clara, and he later transcribed many of his songs for piano. Mendelssohn wrote his Songs without Words for piano in 1830, resulting in 48 short pieces grouped in eight books. Liszt expressed his experience of hearing Schubert’s songs in his 1838 visit to Vienna: “I heard in the salons, with vivid pleasure and sentimentality bringing tears to my eyes, an artistic friend, the Baron von Schönstein, present Schubert’s lieder….” This experience inspired Liszt to write numerous transcriptions of Schubert songs for solo piano.